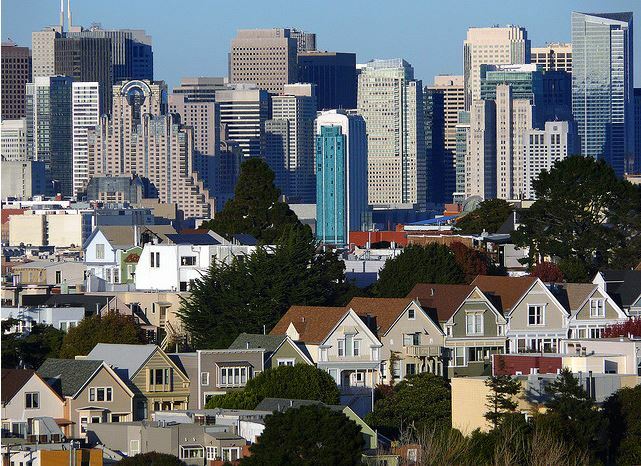 The San Francisco metro area has already regained pre-recession employment levels. The San Francisco metropolitan area led the nation in job growth in January with 41,300 new jobs, a 4.3 percent increase from a year earlier, according to the latest numbers from the U.S. Bureau of Labor Statistics. The Oakland metro area wasn’t far behind with 24,500 new jobs year over year, for 2.6 percent growth. Both regions far outpaced the U.S. average of 1.5 percent job growth in January. The San Francisco area includes Marin, San Francisco, and San Mateo counties, and the Oakland area includes Alameda and Contra Costa counties. The statistics confirm that the Bay Area is California’s job growth leader, said Stephen Levy, director of the Palo Alto-based Center for Continuing Study of the California Economy. Additional jobs help expand the Bay Area’s economic base and boost buying power in our real estate markets. In a report released Friday, Levy said the state Employment Development Department’s recent revision of job totals showed that California’s job growth was stronger than previously reported — and occurred in job sectors important for future economic growth: professional services, construction, tourism, and foreign trade. All Bay Area counties added jobs in January, even as unemployment numbers edged higher. Jobless rates were 5.8 percent in Marin County (up 0.3 percent from December), 6.8 percent in San Francisco (up 0.3 percent), 8 percent in Napa County (up 0.1 percent), 8.3 percent in Sonoma County (up 0.6 percent), and 8.6 percent in both Alameda and Contra Costa counties (both up 0.4 percent). Even with the elevated numbers, Bay Area unemployment remained far below the state average of 9.8 percent. Levy said the San Francisco and San Jose metro areas “have already reached pre-recession job peaks,” and other parts of the Bay Area are expected to follow suit over the next three months.